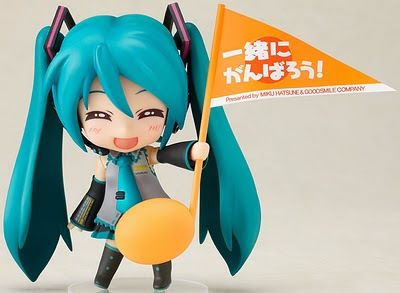 Very soon, Nendoroid Miku Hatsune Support Ver. should be available for purchase for non-Japanese citizens. As a reminder, this figure is a very special one by Good Smile Company for every figure purchased, 1000 yen goes to Japan Earthquake/Tsunami relief. As I speak yet another quake has hit japan... a 7.4 magnitude earthquake :-(. I plan on buying one for myself as well. When this figure arrives in July or so, I'd ask anybody who purchased her to submit photos/ blog about your support for Japan in my member's blog. If my busy schedule can permit it... I'll try to create some auctions on my ebay branch that will have proceeds go toward the Japan Red Cross. In general, if you want to support Japan; buy anime figures, visit a local sushi bar for lunch/dinner, buy Japanese video games. The world-wide otaku culture can be of help to the people of Japan.